Putting your money in property in all about playing the long game because real estate investment is a smart way to balance your financial portfolio. In general, banking on real estate ensures that over the years, your capital will increase or appreciate. An added bonus is the income potential you can get out of renting your house and lot or condominium unit. To maximize these benefits, however, you need to be selective about the property you buy. Real estate, after all, is always a major purchase, and it pays if you pick a developer with a well-known and provable record of doing high-quality and credible projects. The more respected and trustworthy the developer, the more you're assured that its projects will appreciate faster and higher. You also need to take time out and think carefully about why you want to invest in real estate. What is your goal? Is it to gain financial freedom or independence? If so, the first step is to clarify what your definition of that concept--not just in an abstract way, but in actual money terms--is. For example, does it mean being able to retire early or to cut back on work? Or perhaps you want to acquire passive income so you can be more flexible with what you do with your time. There's also the notion of legacy: maybe you see real estate as something you can build on so that you have something concrete and useful to leave behind for your loved ones when you pass on. The Philippine economy shot up by 6.6 percent last year, outpacing its neighbors in Southeast Asia. Thailand posted a 6.4 percent growth, while Indonesia hit 6.2 and Malaysia reached 5.6 percent. Vietnam reported a 5 percent growth while and Singapore hit 1.2 percent. growing by 6.1 percent, up from its earlier estimate of 5.3 percent. Citi's analysts cite increased government spending and steady domestic demand for this positive outlook. The World Bank also paints a rosy picture for the country, provided that government doggedly pursues economic reforms. These efforts, along with favorable global conditions, will generate "more and better jobs and reduce poverty at a faster rate," according to the World Bank report. 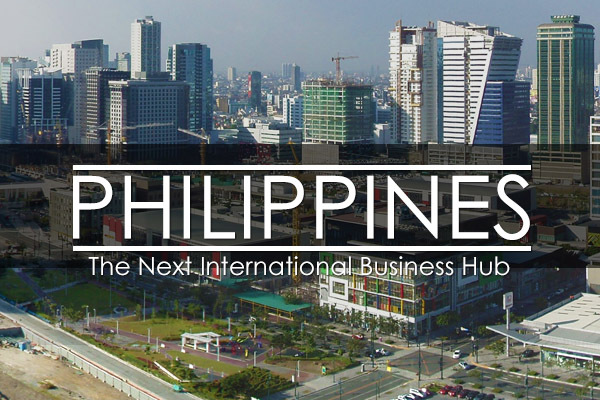 A key factor is the country’s continuing success in the business process outsourcing (BPO) industry, which accounts for about 70 percent of new office tenancies in Manila. Foreign companies have been flocking to the country to set up operations for their back office and other key services as the U.S. and Europe are still undergoing an economic slowdown. According to the Business Processing Association of the Philippines (BPAP), the industry is looking to generate revenue worth US$25 billion or by 2016. Remittances from overseas Filipinos workers are another bright spot for the real estate industry. In 2012, OFW contributions accounted for about 10% of the country's GDP, which amounted to over US$20 billion. And for a growing number of OFWs, real estate is an investment that’s worth hard-earned money. Century Properties, the local developer behind Trump Tower and Acqua Private Residences, posted a 16.6% increase for its preselling projects in 2012, overshooting its original target of US$490 million. Century cites the 11 million-strong OFW force for its successful sales. The Philippines welcomed nearly of 4.3 million foreign visitors in 2012, marking a 9 percent increase from the 3.9 travelers who arrived in 2011. For 2013, the country got off to a strong start as around 436,079 tourists selected the Philippines as their destination. The figure represents a 6 percent growth from the 411,064 during the same period in 2012. According to the Department of Tourism (DOT), the Philippines is targeting 10 million visitor arrivals by 2016. To support this initiative, the Aquino administration is ramping up its efforts to boost infrastructure. It has allotted more US$9 billion—a record budget— in 2013 to upgrade the country's roads, bridges, airports, and ports. 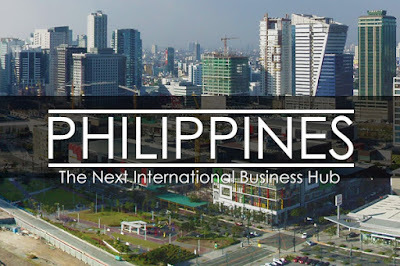 In fact, according to a report called Emerging Trends in Real Estate 2013, Manila ranked 11th for investment promise and 9th for development prospects among 22 markets in the Asia-Pacific region. The study was conducted and published by the Urban Land Institute (ULI), an international nonprofit organization focused on responsible land use, and PricewaterhouseCoopers (PwC), a global network of firms that provide quality tax and advisory services. These positive figures mark a quick increase for the Philippine capital, which placed near the bottom of the heap in previous surveys. The report was based on the insights of over 400 internationally respected real estate professionals, including property company officials, developers, lenders, brokers, investors, and consultants. Jones Lang LaSalle, another leading real estate firm, estimates that in 2013, there will be around 11,171 new residential units that are up for completion in Manila. The consultancy company cites low interest rates, high remittances from OFWs and positive investor sentiment for the boost. Nearly 960 condo units were added to the residential inventory of the Makati central business district and Bonifacio Global City during fourth quarter of 2012. This comes after the completion of luxury projects Raffles Residences in Makati and the first building of Trion Towers in BGC. Property prices across the Philippines "are substantially cheaper then in more developed markets," according to Property Frontiers, a leading European company that specializes in global real estate investments. In general, rates per squar emeter cost around P68,600 on average, while condo units or apartment prices begin at under P2 million. Living spaces in highly desirable and rent-friendly locations starts at about P4 million--this is typically for a one-bedroom apartment in a building that features round-the-clock security, a gym, and a swimming pool. Three- or four-bedroom condo units or apartments in upscale addresses such as BGC in Taguig or the Greenbelt area in Makati are valued at around P20 million to P30 million. Property Frontier also observes that smaller spaces command higher yields, with studio units that measure approximately 30 sq m in premium areas such as Rockwell in Makati, BGC in Taguig, Ortigas Center in Mandaluyong City earning yields worth 13 to 15 percent. Spaces that are around 40 sq m in size typically yield a lower return at 12.9 percent. Jones Lang Lasalle also reported that in the fourth quarter of 2012, net effective rents of luxury condominium projects climbed to P8,076 per sq m per year. Capital values shot up as well, totalling P117,300 per sq m.